Following a ‘rigorous procurement process’, Welsh government first minister Carwyn Jones today announced that Keolis Amey had been contracted to operate and develop the Wales and Borders rail service, including the future ‘South Wales Metro’, working in partnership with Transport for Wales. 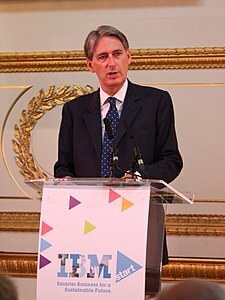 In February 2018, UK government rail minister Jo Johnson claimed that ‘all diesel trains should be scrapped by 2040’, or somesuch. However, the Welsh government intends to spend hundreds of millions of pounds on new-build diesel trains, with many being ‘built’ at the new CAF factory in South Wales. 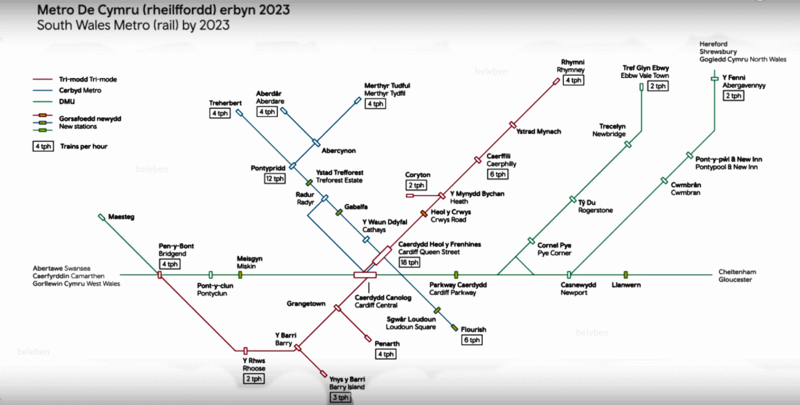 Exactly how much of the South Wales and Valley lines electrification has been binned, remains unclear. It seems more than likely that remanufacturing off-lease electric trains from the UK rolling stock glut would be cheaper than acquiring large numbers of new diesels, allow more track to be electrified, and create more Welsh and UK jobs. By rail from London you can get to Paris faster than Wrexham. For a country that invented railways, that is truly ridiculous. It is true that the London to Paris rail journey is shorter than the London to Wrexham one. But it’s not ridiculous. Wrexham is a small town, and as such, has to be served by non-express trains. If the London to Birmingham 49 minute HS2 service existed, it’s highly likely that Paris would still have the time advantage. By Eurostar, London to Paris is 135 minutes, so for the rail journey to Wrexham to be shorter, the onward journey from alighting the HS2 train in Birmingham must take less than 86 minutes. But direct (no-change) services from Birmingham New Street to Wrexham take 95 minutes or slightly more, and that’s before adding in the inter-station transfer involved in the HS2 journey. HS2 has nothing to offer North Wales. The best way to improve its rail links is to pursue an upgrade strategy, including electrification of the Crewe to Holyhead track. In a previous post, I mentioned the definition of high speed rail used by the UIC and European Union, which stated that “Specially upgraded High Speed lines equipped for speeds of the order of 200 km/h” are classed as being high speed rail. On that definition, Britain already has a well developed high speed rail network, but the fact is pretty much ignored by the present government, and high speed rail lobbyists. “There seems to be a kind of competition around the world today to achieve ever higher railway speed. Personally, I think they are making a mistake targeting their sights always on faster and faster speed alone. Instead of speed, other countries should try instead to emulate the Shinkansen’s remarkable frequency of train headway. Frequency, I believe, is far more vital than higher speed. For unless you boost operation frequency, you can’t reduce passenger fares and attract more customers.